The importance of diversity and inclusion to medical and graduate education and research will be discussed on Sept. 8 during the first Flexner Discovery Lecture of the 2016-2017 academic year. The speakers will be André Churchwell, M.D., Chief Diversity Officer for Vanderbilt University Medical Center (VUMC), and Linda Sealy, Ph.D., Director of the Vanderbilt Initiative for Maximizing Student Diversity. Their talk, which is sponsored by the VUMC Office of the President and CEO, will begin at 4 p.m. in Room 208 Light Hall. 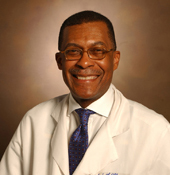 Churchwell is the Levi Watkins Jr., M.D. Chair, professor of Medicine, Biomedical Engineering and Radiology and Radiological Sciences, and senior associate dean for Diversity Affairs in the Vanderbilt University School of Medicine. Sealy is associate professor of Molecular Physiology and Biophysics, Cancer Biology and Cell and Developmental Biology. 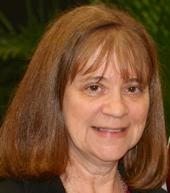 In March she became the first recipient of the one-year Joseph A. Johnson Jr. Distinguished Leadership Professor Award, named for the first African-American to be admitted to and graduate from Vanderbilt University. Churchwell and Sealy will discuss recent successes in increasing diversity and inclusion in the M.D. and Ph.D. training programs, and the role of Vanderbilt as a “model for inclusive excellence” in the biomedical sciences. For a complete schedule of the Flexner Discovery Lecture series and archived video of previous lectures, go to www.mc.vanderbilt.edu/discoveryseries.